Our team in Haiti is responding to Hurricane Matthew, which affected 1.4 million people. Please donate to rebuild houses and schools safer than before. Build Change has been working in Haiti since the earthquake in 2010 and has successfully supported more than 1,400 homeowners, enabling them to put their families back into safe housing. By upgrading current technologies and common construction practices and implementing low-cost improvement solutions, Build Change has worked with homeowners, government officials and construction professionals since day one. 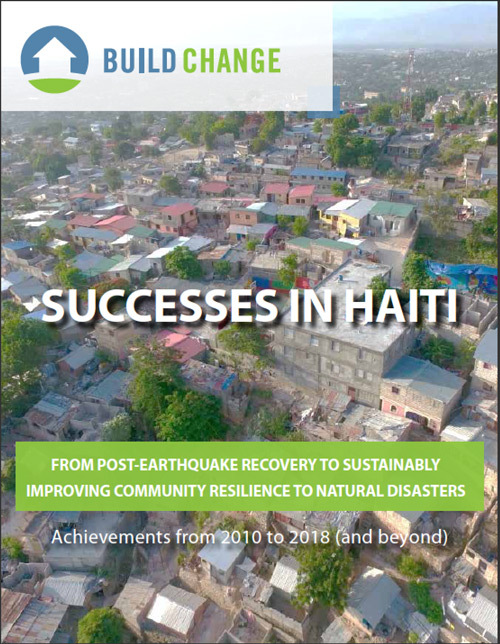 As a result, we have become the leading implementer of homeowner-driven retrofitting and reconstruction in Haiti, having built and retrofitted more homeowner-driven houses than any other agency. Build Change has been working in Haiti since the earthquake in 2010, and has become the leading implementer of homeowner-driven retrofitting and reconstruction in the country, having built and retrofitted more homeowner-driven houses than any other agency. 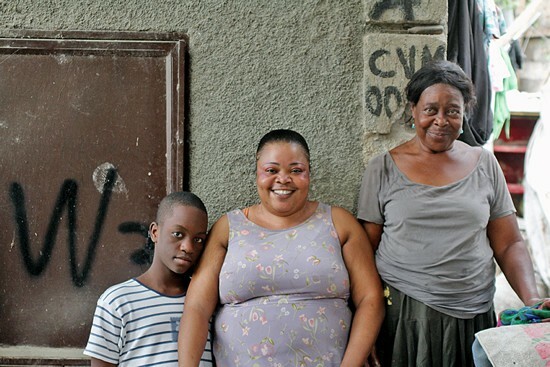 Build Change demonstrated the homeowner-driven method could be applied to retrofitting and could be successfully scaled up to 1,000 houses at a time, after the implementation of projects in Villa Rosa and Delmas 32. Build Change has provided technical assistance in many vulnerable neighborhoods in the municipality of Port-au-Prince (Villa Rosa, Carrefour-Feuille, Christ- Roi, Martissant), Delmas (Delmas 9, 13 and 32), and Carrefour (Tisous, Nan Cocteau), implementing homeowner-driven construction projects since 2011. 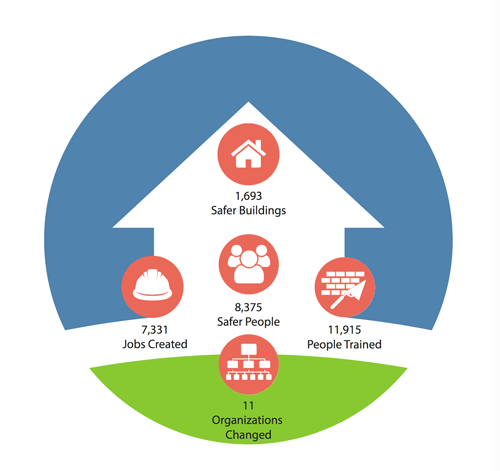 As of the end of 2017, Build Change’s technical assistance has enabled more than 3,600 households to rebuild or retrofit their homes. Build Change has pioneered the development of construction training centers with a comprehensive practical training infrastructure. Our “work station” method enables groups of builders and apprentices to simultaneously work on all the key elements of a disaster-resistant house, from the foundations to the roof. With funding from USAID, Build Change set up a training program in Les Cayes in 2017 to train local builders in better construction practices, building the capacity of the construction sector to support homeowners in retrofitting or rebuilding their homes after Hurricane Matthew. One of the reasons why so many houses collapsed in Haiti was the poor quality of construction materials. To overcome this problem, Build Change has begun working with small and medium-sized block makers to teach them how to produce higher-quality blocks, and help create demand for those blocks. This process not only supports local businesses and strengthens the supply chain, it also affects long-term change in construction practice. Build Change believes that using local materials and creating local jobs is essential to sustainable, long-term recovery after a disaster. Build Change, in partnership with Save the Children, the Hilti Foundation, the Medicor Foundation and USAID, has been working with 250 building material suppliers to improve the quality of concrete blocks produced by small and medium-sized block manufacturers to meet minimum standards for construction in seismic zones. 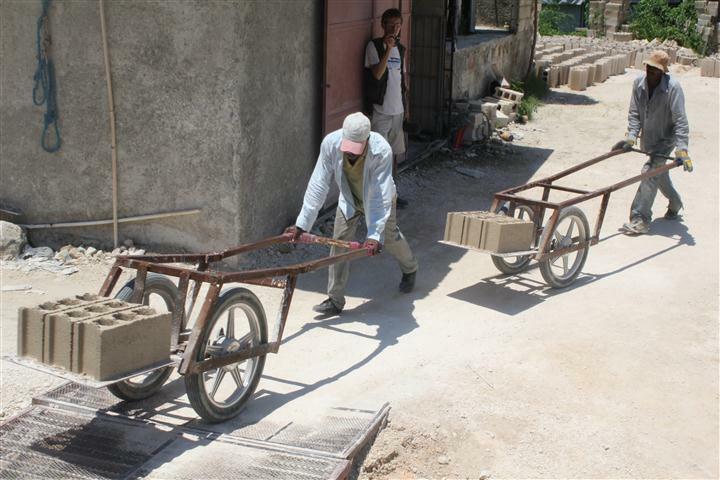 In 2016, we published a study on the block manufacturing sector in Haiti. REZO’s purpose is to help develop Haiti’s informal construction sector, enabling it to provide safer, better-quality homes for Haitian families. 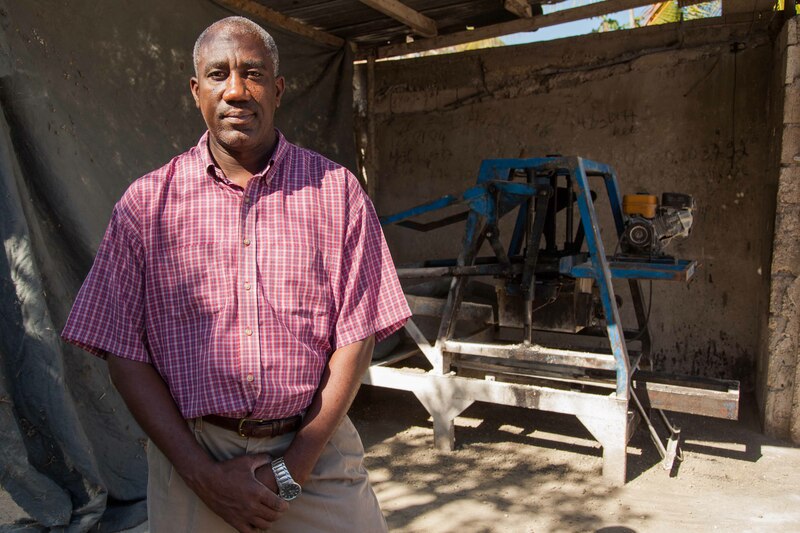 REZO provides small-scale Haitian builders and block-making business owners with the technical and administrative support they need to help change the construction industry. Through incentives – from our partnerships with the Haitian private sector and access to training – REZO is becoming a robust model of how public-private partnerships can make sustainable strides toward a safer future. From significant improvements in product and service quality to grow well beyond the industry average, REZO affiliates are leading the development of better building practices in Haiti. The devastation caused in the 2010 earthquake does not have to happen again. Preventing building collapse is possible. Since 2010, we have developed 82 new and retrofitted retaining wall solutions to help keep water, earth, and buildings in place should another earthquake occur. Over 20,000 homes have used the Yellow House Repair Guideline, which we have provided detailed and extensive comments on. Government officials are a key component to prevention, as they are ultimately responsible for implementing and enforcing building codes. We have trained 57 government officials to oversee such codes, and supported their capacity growth to implement safer building standards. In 2016, we opened a Build Change office in Northern Haiti—another area at high risk of disaster in the future. This area has not been majorly impacted by a disaster, and with the expansion of our operations we aim to lower the impact future disasters might have on lives, livelihoods, and education. The retrofits were safely implemented in multiple phases to accommodate school schedules, and the work was efficiently split between several builders in order to reduce disruption to students. School committees were required to hire builders affiliated to REZO, our network of certified construction professionals whose expertise means the amount of supervision needed is significantly lowered. Build Change completed a collaborative project with the Ministry of Education in 2017 to build the capacity of their engineers to conduct structural assessments of all of Haiti’s public schools. This project will allow the MENFP to assess the retrofit or reconstruction needs of all schools across Haiti, prioritizing those most in need and then incorporating that information into their next budget and planning cycle. Build Change offers design review services to other agencies, including generating detailed drawings, bills of quantity, technical specifications, and construction quality checklists. In addition, Build Change offers construction supervision services, and train-the-trainer courses for construction supervision and homeowner-driven reconstruction. So far, Build Change has provided inputs on houses, schools, and community centers designed and built by Haven Partnership, CAFOD, the French Red Cross, CARE, J/P HRO, and Save the Children. Haiti is among the most disaster-prone countries in the world, as proven when a powerful 7.0-magnitude earthquake struck Haiti in January 12, 2010, killing 230,000 and destroying 250,000 buildings. The majority of housing is not earthquake- and hurricane-safe, leading to a highly vulnerable population.